It’s hard to believe it’s a New Year! I feel like 2017 flew by, especially since I’ve had so many changes. One of which was introducing a new member to our family, Rowan! He’s a Silver Labrador and he’s about 7 months now. With 2018 here I wanted to make some New Year Resolutions specifically for our growing puppy. 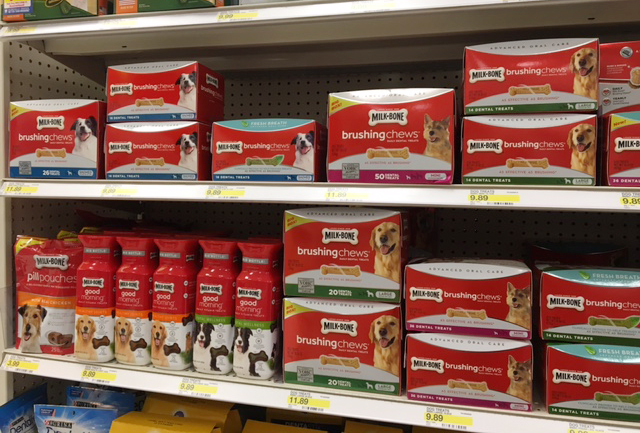 So I’ve introduced Milk-Bone’s Advanced Care line into his life! Our dog is so much more than just a pet, he’s a member of our family so making sure he lives a happy, healthy life is important. I wanted to start the New Year off by creating a more healthy routine for him. 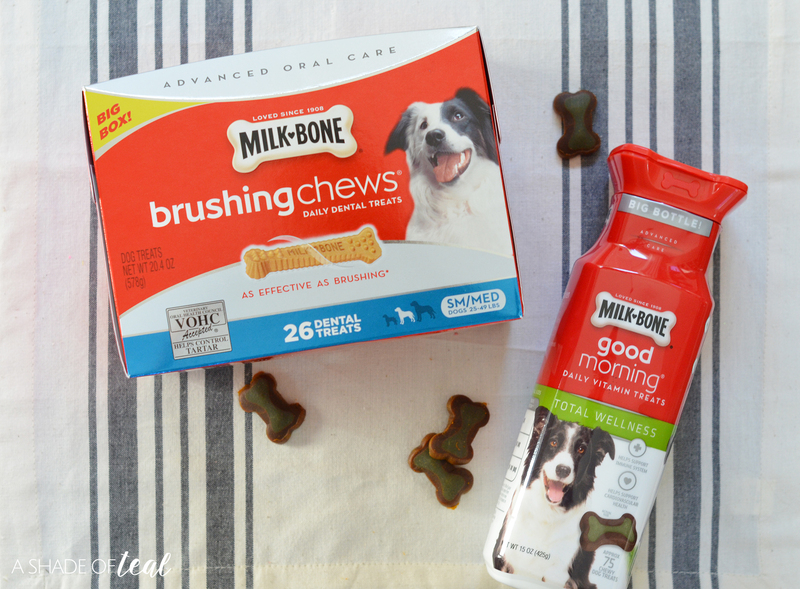 With that we have introduced Milk-Bone’s Advanced Care line, including Milk-Bone Brushing Chews Dental Treats and Milk-Bone Good Morning Daily Vitamins. The Milk-Bone Good Morning Daily Vitamins are a tasty treat you’re pup will love to help get the day started. If your someone who takes vitamins, then just think this is your pups daily vitamin. 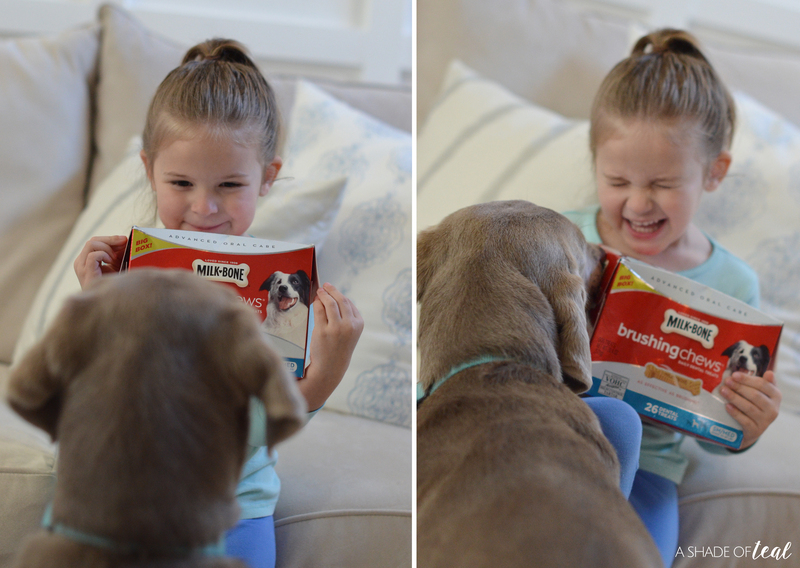 The Milk-Bone Brushing Chews Dental Treats are also daily treats that are clinically proven as effective as brushing. 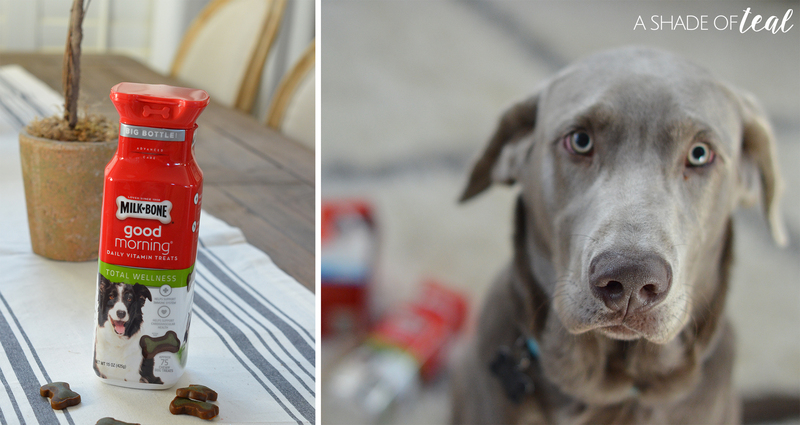 It tastes like a treat but cleans like a toothbrush, giving your pup clean & fresh breath! 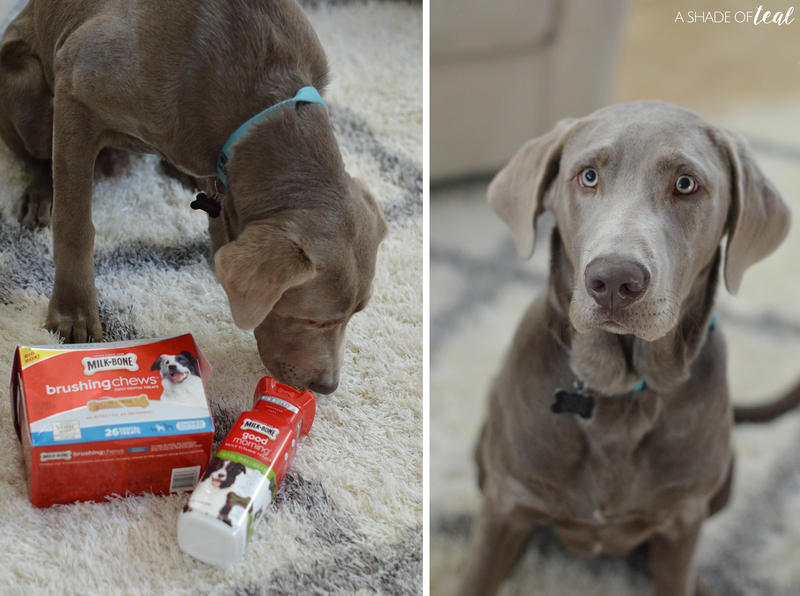 My dog loves his new routine and I love his fresh breath! Plus, my daughter loves being a part of his New Year schedule by giving him his daily vitamins & dental treat. We also have made more of a point to have daily walks or at least 60 minutes of play time. Since he’s just a puppy, he still has a ton of energy to burn off. 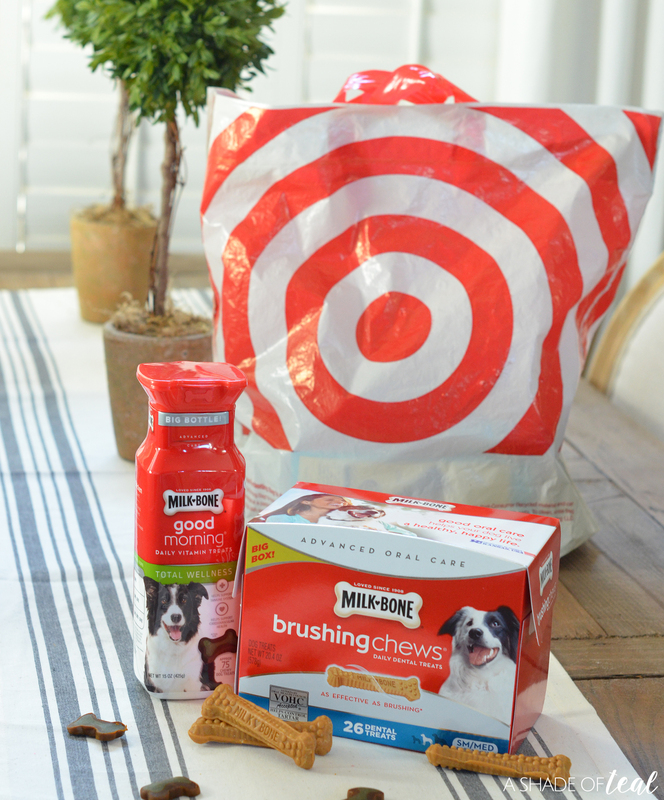 You can find Milk-Bone’s Advanced Care line, including Milk-Bone Brushing Chews Dental Treats and Milk-Bone Good Morning Daily Vitamins at Target in their pet aisle. Better yet, if your a regular Target shopper like me, make sure to use the 10% off Cartwheel offer. 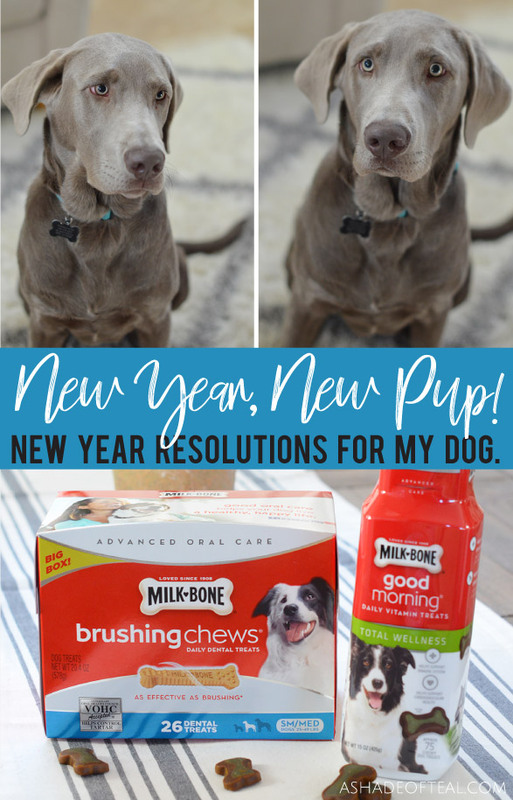 So if your looking to make your dogs life more healthy this year, then give Milk-Bone Advanced Care products a try. You and your pup will both be happy you did! « Updating Curb Appeal with a New Front Door!